The Pre-Contract and Specifications Unit works to improve the Agency’s overall consistency of contracts; review all Agency administered construction projects proposals to ensure that they are biddable, accurate, and are in compliance with the VTrans Standard Specifications for Construction, General Special Provisions, and project specific special provisions. The Unit works as a liaison between the design teams of the Highway and the Policy, Planning, and Intermodal Development Divisions of VTrans and Contract Administration. Staff provide guidance and technical expertise regarding specifications and ensure all proposals are accurate and complete prior to advertising. Staff review projects to ensure that they are biddable, especially in regard to the contract schedule of items and quantities, and ensure that the work to be performed by the Contractor is clearly specified and covered under an appropriate contract pay item. The Unit is responsible for managing updates to the Standard Specifications for Construction, General Special Provisions, Supplemental Specifications, and Special Provision items. Between July 1, 2018 and December 31, 2018 projects may advertise with either the 2011 or 2018 Standard Specifications for Construction book. Beginning January 1, 2019, all projects will be advertised using the 2018 Standard Specifications for Construction book. 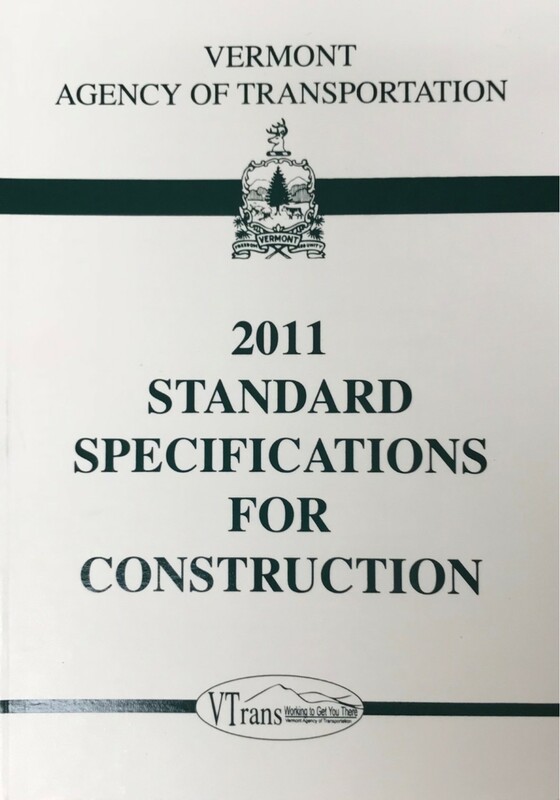 The official approval date of the 2018 Standard Specifications for Construction book is April 13, 2018. 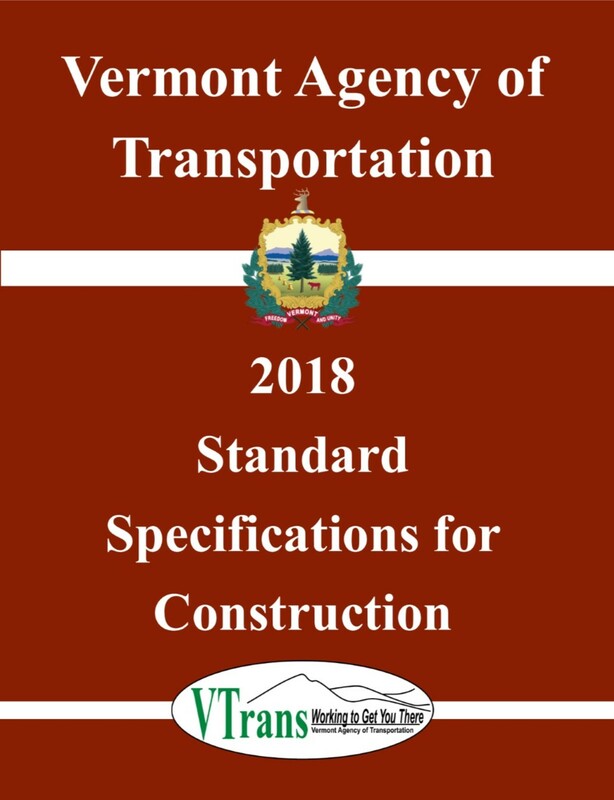 If you have any questions, comments, or find errors please fill out the form below and email to the Pre-Contract and Specifications Unit at AOT.HWYPrecontractSpecifications@vermont.gov. Includes: 2018 Standard Specifications for Construction book, 2018 Summary of Major Revisions, 2018 General Special Provisions, 2018 Supplemental Specifications, and the 2018 Unofficial Specifications book.